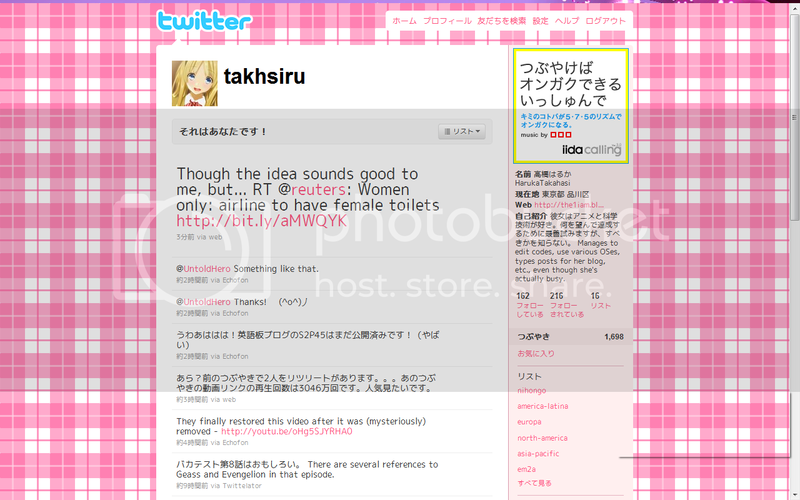 For an unplanned and totally random reason, I decided to change the layout and the icon image of my twitter page. I originally wanted to change to something with this colour scheme earlier, but it seemed inappropriate for the winter season. With the end of winter, I'm tempted to do this. Background tiled image has been sitting in my documents folder longer than the time I had joined Twitter. The colour scheme came from screenshots of my main blog almost a year ago. I have no plans to use the icon you see me using in the screenshot anywhere else.